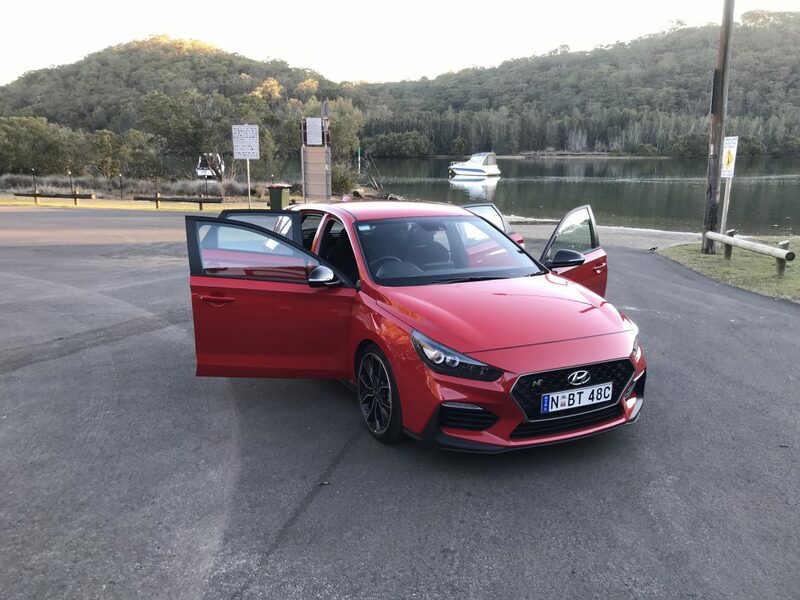 The i30 N gets the blood pumping on any standard drive. The competitors should seriously keep an eye out as this bad boy is making a statement. 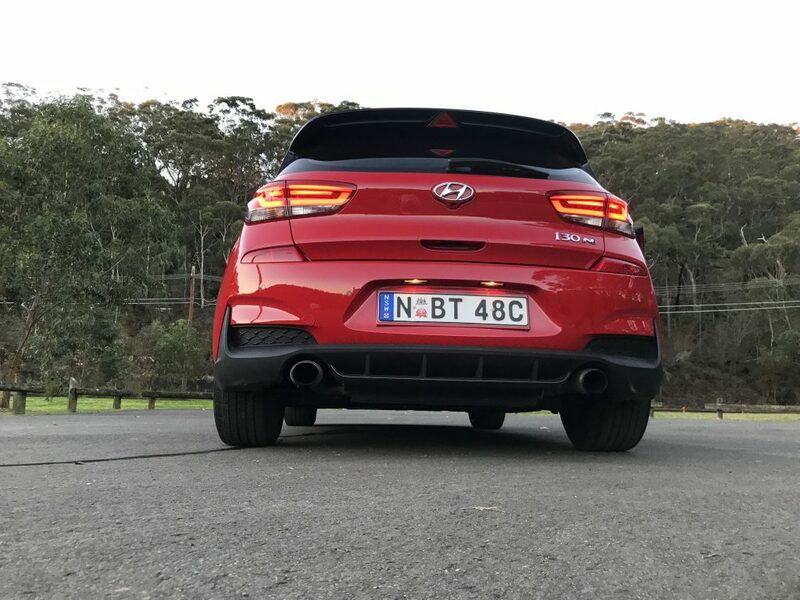 Hyundai has done it – entered the hot hatch market with a bang, giving Volkswagen, Honda, Audi, Ford etc a run for their money. The i30 N is purely exceptional from its lively steering, to punchy turbo, to that rocket sounding exhaust, it’s a racer boy’s dream. 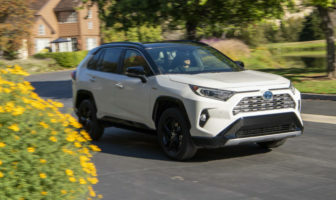 Hear me out before you go and dismiss the Korean car like many of its siblings. 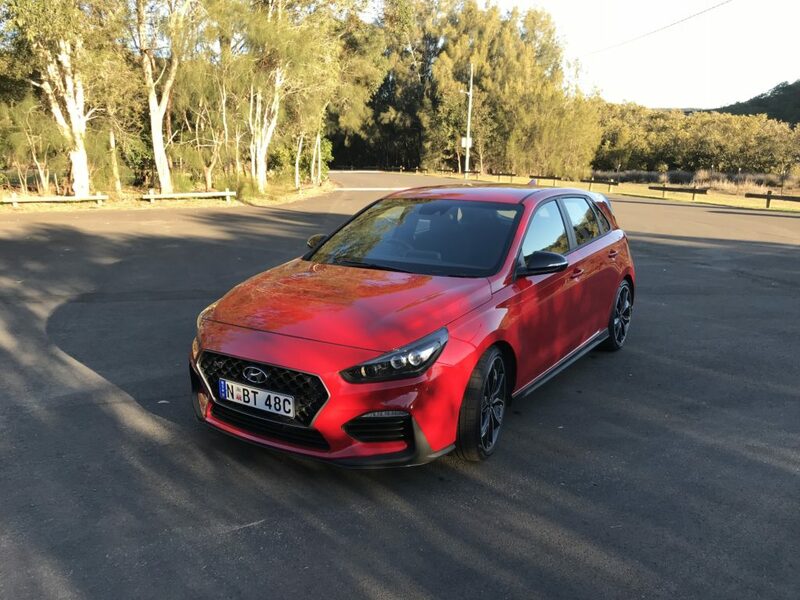 The i30 N is powered by a 2.0-litre four-cylinder turbocharged engine that puts out 202kW of power and 378Nm of torque (on overboost). 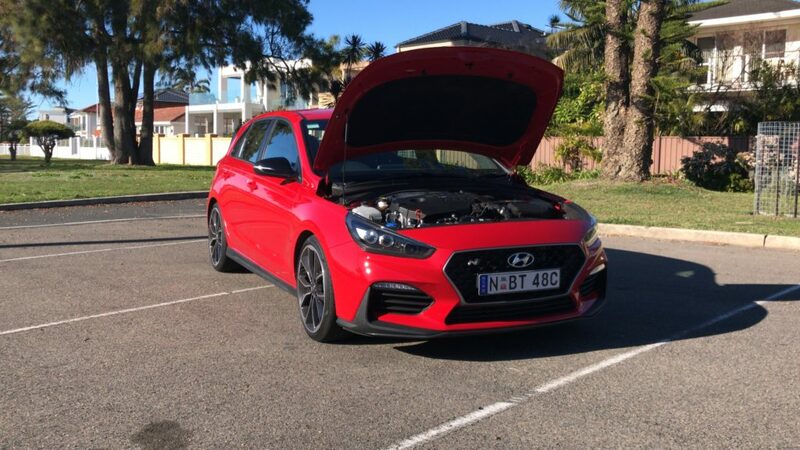 This is the same engine shared with the much larger Sonata sedan, but this one gets a larger turbo and is oiled, fuelled and cooled to withstand the rigours of the racetrack. In fact the Hyundai PR team told me this “we drove the car a few hundred KM’s, did 150 laps on the track, drove it back and did not touch the car once to change any tyres, bleed the brakes etc”. Hyundai Australia has confirmed it will include cover for track use as part of the five-year warranty program on its i30 N hot hatch – no manufacturer has EVER done this! This car is made for the track! The ‘N’ comes from the fact that it was tuned at the infamous Nurburgring Nordschleife circuit in Germany. The N hits peak power at 6000rpm and gets the full 353Nm of torque (before overboost) between 1450-4700rpm and 378Nm over 1750-4200rpm for up to 18sec on overboost). 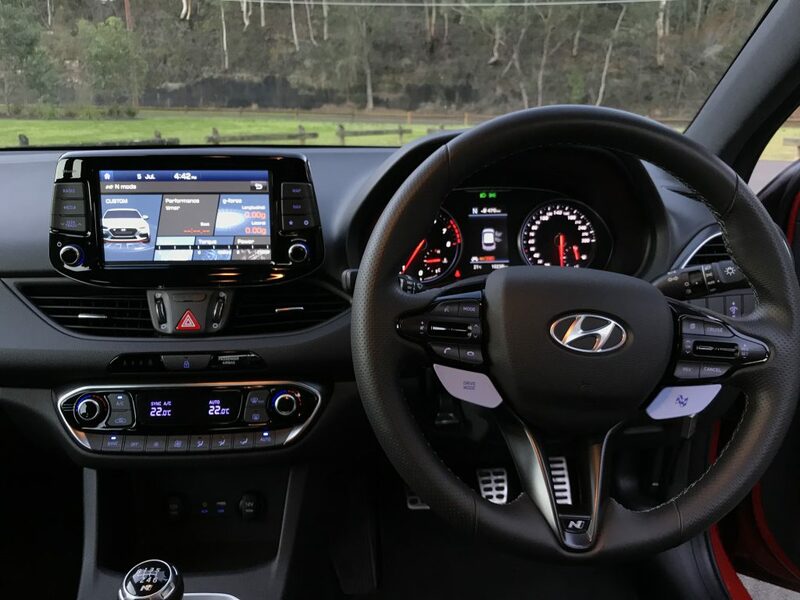 The front-drive Hyundai i30 N uses launch control to hit 100km/h in a claimed 6.2sec and an electronically-limited top speed of 250km/h. Overtaking from 80 to 120km/h happens in just 7.3sec. 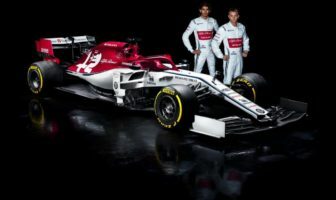 Other fun features include rev-matching function (so no need to heel toe lads), along with an electronically-enhanced exhaust system (this is more amazing than just those big words), short-stroke clutch, active aerodynamics and brake cooling ducts. There’s also a locally-tuned, lowered front and multi-link rear suspension system with adaptive dampers, and athletic 345mm front and 314mm rear disc rotors clamped by Hyundai’s own red-painted callipers. 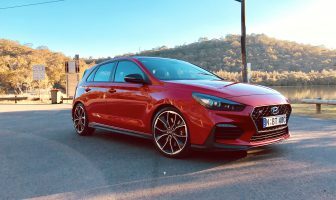 All Australian Hyundai i30 N’s ride on 19-inch alloy wheels wrapped in bespoke 235/35 Pirelli P Zero HN tyres as standard, and are fitted with a space-saver spare. Drive modes include: Eco, Normal, Sport, Sport+ and N-Mode. The combined cycle estimates fuel consumption of 8.0 litres/100km. This honestly all depends on which drive mode you are in. Our testing returned around 9.8L/100km in all modes except N-Mode. 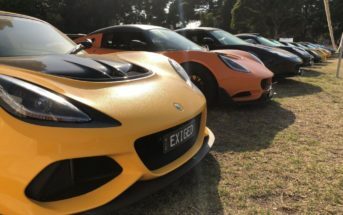 N-Mode is the most outstanding, fun, loud, rivetting mode you could ever think of, but don’t expect to get more than 350km on a full tank of fuel. The inside is livable without the Luxury Pack. You get dual climate, comfy fabric seats, the nice steering wheel and enough room for a few people. 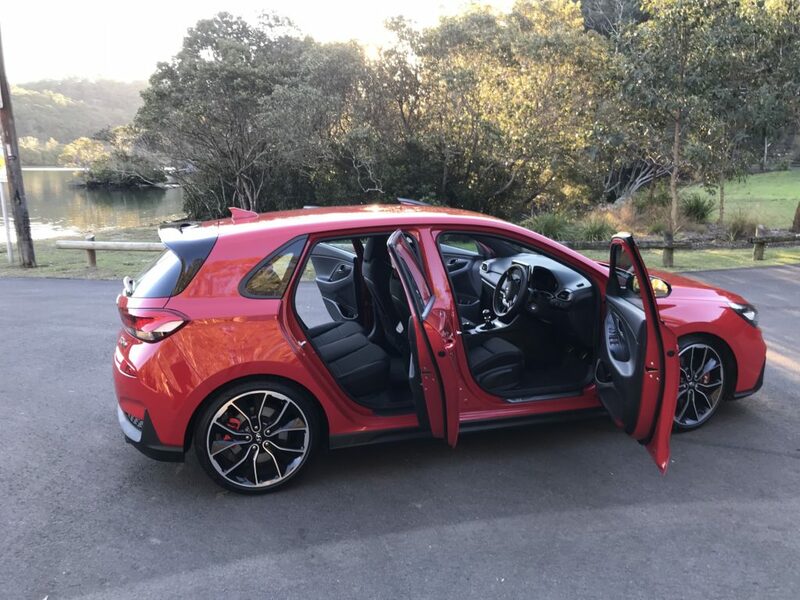 After all, this is a hot hatch, not a fancy yet slow standard car. 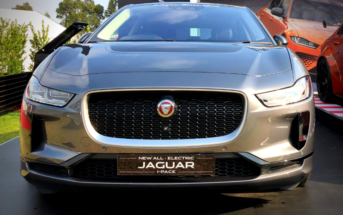 The $3000 Luxury Pack adds front parking sensors, heated and 12-way power-adjustable front seats in suede-like material, power-folding side mirrors, wireless phone charging, keyless entry and push-button ignition. 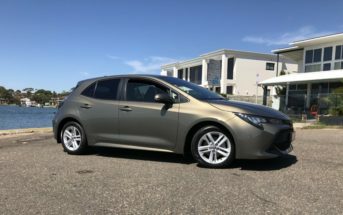 An additional $2000 adds a panoramic sunroof while metallic paint is another $495. 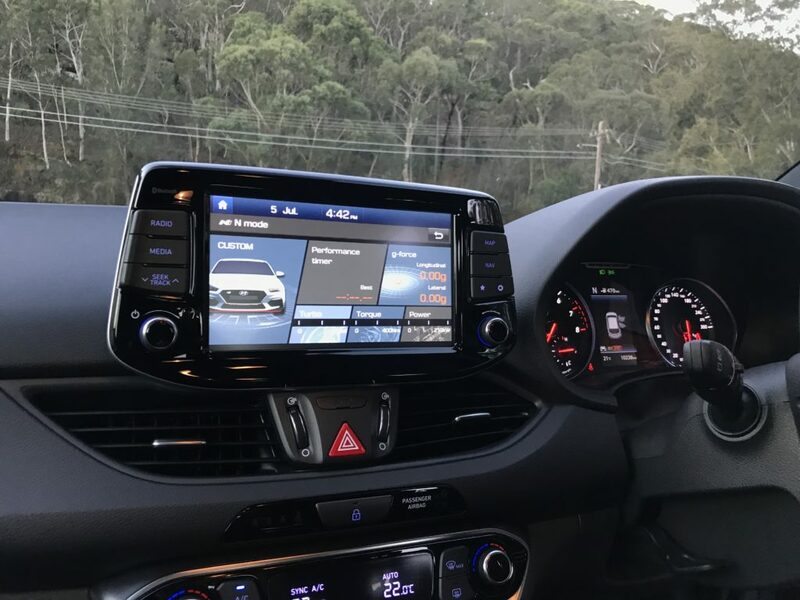 The i30 N offers Apple CarPlay and Android Auto as part of its 8.0-inch touch-screen infotainment array, as well as satellite-navigation and Bluetooth audio and telephony. The N also gets it’s own N Performance Monitor which lets you change all the settings of the exhaust, chassis, steering, suspension etc etc etc (the list goes on) from Normal to Sport or Sport+. 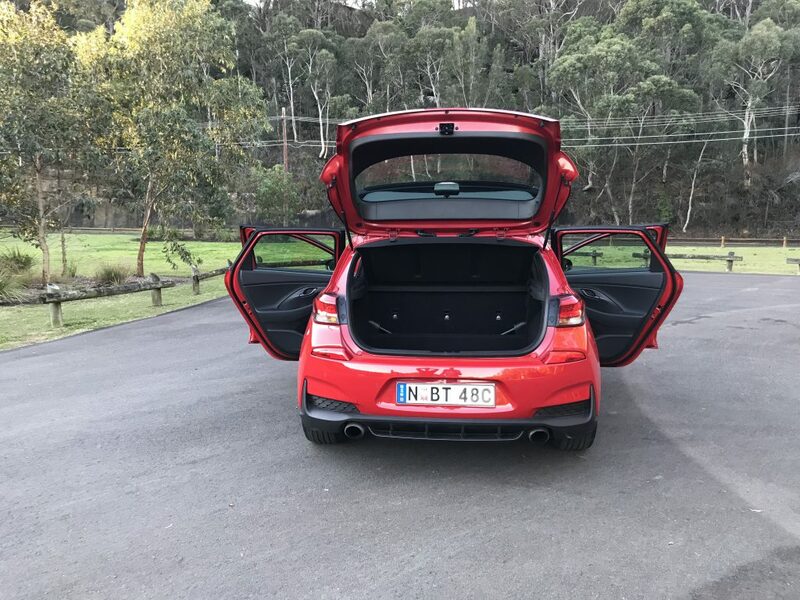 The i30 N gets a 5 star ANCAP safety rating. Some features that help this include: lane-keeping assistant, autonomous emergency braking, driver attention alert and seven airbags. We tested some of these features out and they are genuinely impressive. Lane-keeping works for around 20 seconds before beeping and prompting you to put your hands back on the wheel. 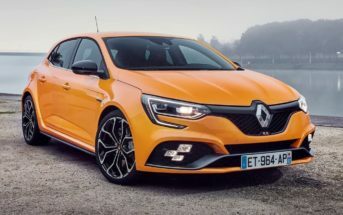 This car is one of the best handling front-wheel-drive hot hatches on the market. It glues wherever you want it go and sticks to the road. The e-LSD helps transfer power to any wheel at any given time. N-Mode also opens up that exhaust and makes it sound like GUN SHOTS when changing gears.. I don’t mean that figuratively, it literally sounds like a machine gun this exhaust which brings about the greatest of smiles to our car-loving faces. In Normal mode, the N cruises about comfortably with no dramas whatsoever. On the motorway it’s nothing but comfortable and easy. The thin profiled tyres to get a bit bumpy every now and then, but it really isn’t that bad at all. 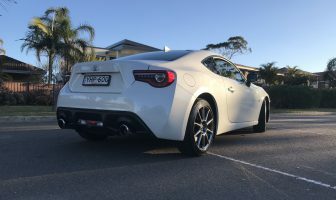 This car makes an astounding daily driver, so long as you are happy shifting between 1st and 2nd.. and 1st and 2nd, and 3rd, and 1st and 2nd .. in Sydney’s peak hour.